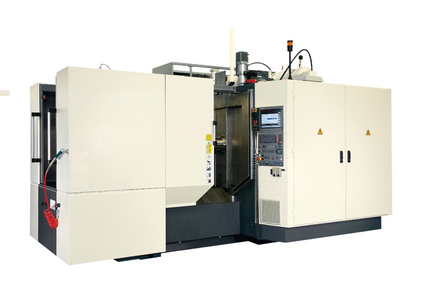 The Stirtec H-WMC630 with horizontal spindle axis has x-y-z traverse lenths of 750 x 700 x 770 mm with an automatic pallet changer (Palett size 630 × 630 mm) and a b-axis for maching the wor piece on all four sides. Various sizes from H-500 over H-800 to H-1000. V-HSMC630 exclusively for milling without close-loop force Control.